What a stunner of a ceremony entrance!! 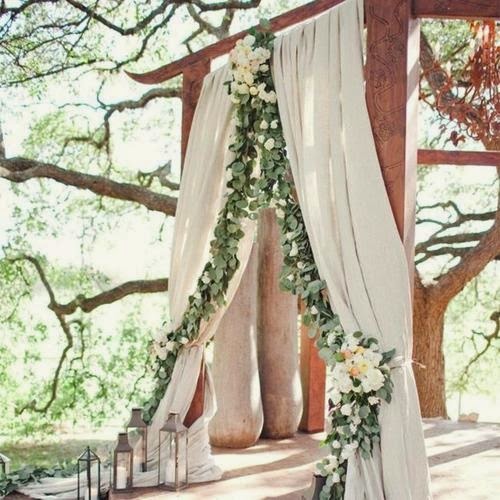 I love the look of the draped curtains with garlands of greenery. This could also work as the backdrop for the ceremony, the entrance to the reception, or modified as a photo booth backdrop!